I am me. Its too much to explain here. We have a mouse at work. He’s a very smart and very brave mouse. He tends to show up in the office space after most of the noise and activity dies down, so early evening. At first his favorite spot was my boss’s office. We heard her scream several times. She told her brother it was either the mouse or her. Not that she needed to threaten him, he was already ready to be rid of the mouse. So traps were laid out and the mouse ignored all the traps, mechanical, glue and poison. Now he’s moved in the main office. He’s been chased but he’s quick and good at squeezing into his hidey holes. I am a bleeding heart about animals. If he isn’t bothering me, I’m fine with live and let live on the mouse. And the more resilient and smart he proves himself to be, the more sympathy from me he gains. The HR director has been a mouse fan from the beginning. He named it Fred and has been rooting for the mouse all along. I finally admitted to rooting for the mouse. So we decided to start a campaign to save Fred. I sent out a funny email and the whole office went into a pro Fred vs anti Fred mode. My boss is decidedly anti Fred and suggested I bring in my cats to deal with Fred. But I’m not bringing in my cats when there is poison on the floor. 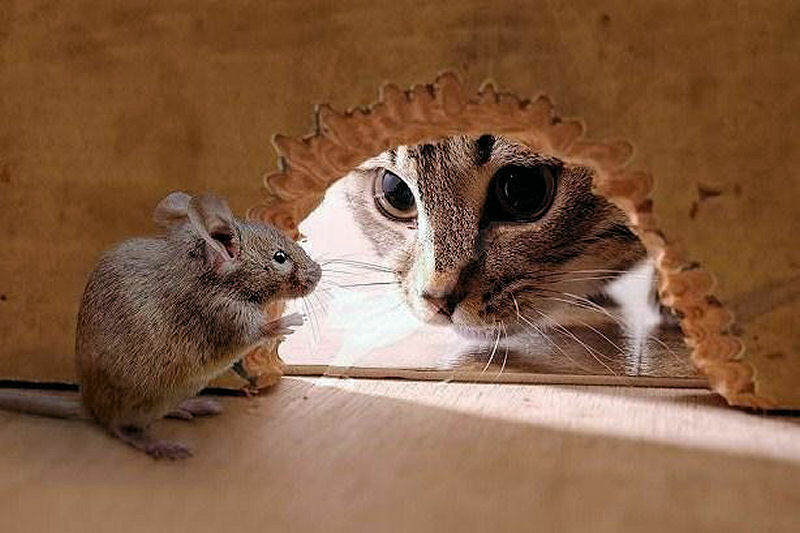 Although, I do think a cat would be the most effective deterrent of a mouse invasion. Because while HR guy and I call the mouse Fred, we really have no idea if it’s a Fred or a Felicia. And if it’s Felicia – we are going to have a whole lot more mice. So. Now I’m considering a new campaign for an office cat. I think we could keep the mice out and improve moral with a nice cat. And as long as we are diligent about keeping it inside, it will be fine. I work at a transportation company, with many giant buses, and more than 50 vans, cars and SUVS. Not a good place for cats to wander. But if we bring in an adult cat from a shelter, and we keep it inside, it will be FINE. I want an office cat. I wonder if anyone at the office is allergic. I shall check. And if we add it to the interview process – Are you allergic to cats? It will be fine.